Bremner acknowledged that he's met with Peter Wall for coffee since he decided to run for mayor, but "we had no conversations beyond that." 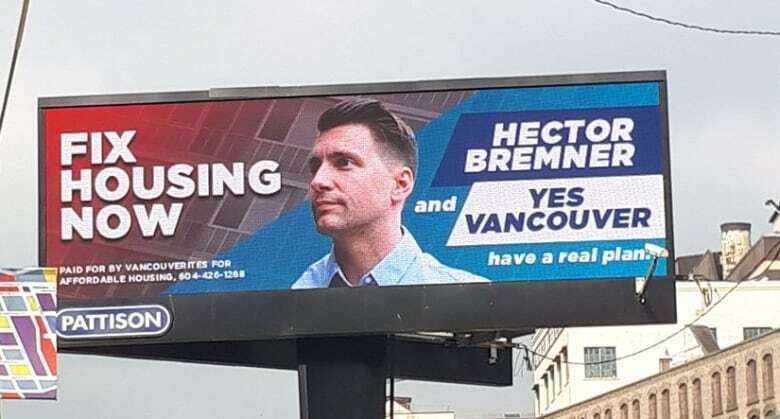 As questions swirl around the revelation that a Vancouver developer quietly funded billboards boosting Hector Bremner, the mayoral candidate says he can't explain how he earned such an expensive endorsement. 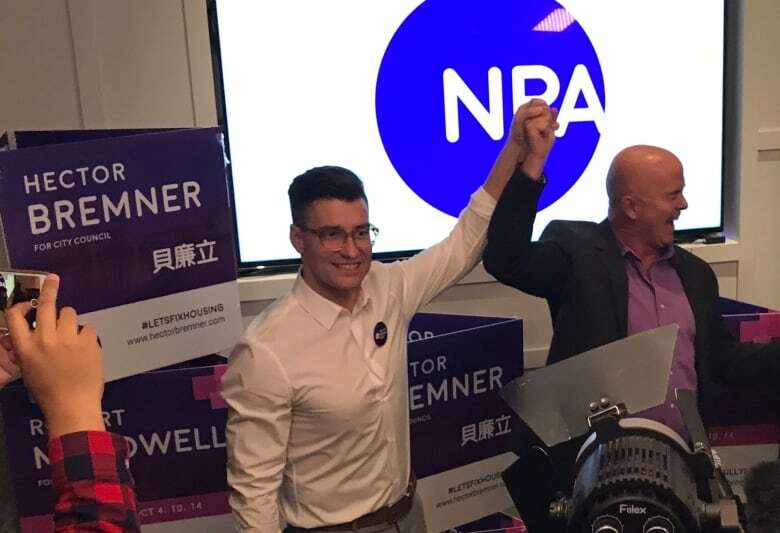 Last week, The Globe and Mail revealed that developer Peter Wall had paid $85,000 for the massive ads, which feature Bremner's face and the slogan "Fix Housing Now." The identity of the billboards' funder has been a much-discussed mystery since they appeared several weeks ago. In a lengthy interview with Stephen Quinn, host of CBC's The Early Edition, Bremner described the uproar over the ads as a "distraction." He said his campaign has had no contact with Wall about the billboards, and he did not know who paid for them before last week. But Bremner acknowledged he's met with Wall for coffee in the last year — since he made the decision to run for mayor. "We had no conversations beyond that. I didn't think he was terribly impressed with me. He told me that I didn't know how to fix housing. He told me that I didn't know what I was talking about," Bremner said. 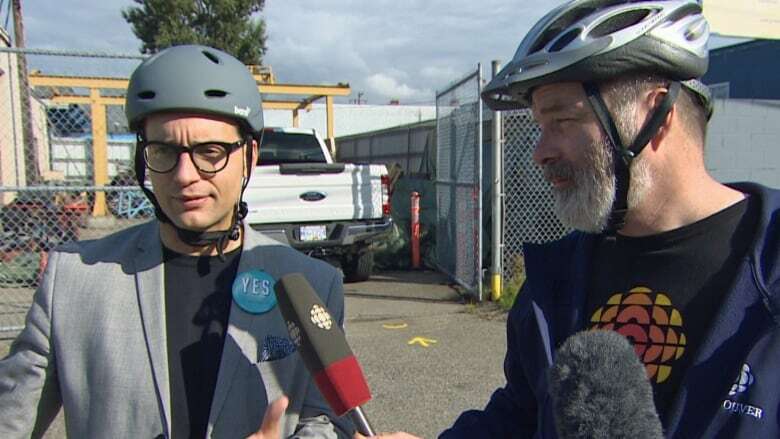 The Yes Vancouver candidate insists the meeting was no different from coffee dates he's had with "every stakeholder group" after his election to city council last year. "As a city councillor, you're the new guy. Everybody wants to meet the new guy," he said. There's nothing illicit about Wall's decision to fund the billboards. Under B.C. 's Election Act, third-party advertisers don't have to disclose how much they're spending until the month-long campaign period begins. Former NDP cabinet minister Moe Sihota described Wall's third-party contributions as "clearly contrary to the spirit of the law." But Bremner disputed that in his interview with CBC. "We looked at the law very clearly when the billboards popped up … and it's not something outside the spirit of the law," he said. "It was very nice to see my face up there and that's fine and everything like that, but he has, I guess, the wherewithal to do this, and, under the act, he has every right to do that as a citizen." Wall has not responded to requests for comment from CBC, and the billboards have since been taken down. Municipal Affairs Minister Selena Robinson said the province will be reviewing what changes to third-party advertising rules are necessary to ensure a "level playing field" before the next civic election. "I am aware of this instance in the Lower Mainland and it appears to be an attempt to spend as much money as possible on advertising a mere two weeks before the campaign period begins," Robinson wrote in an email. "Clearly, this suggests that the third party expense limits set by the old government, which only cover the campaign period, don't do enough to take big money out of politics." But Duff Conacher, co-founder of the citizen advocacy group, Democracy Watch, said the current government deserves just as much blame for not extending the restrictions on third-party advertising to several months before the election. "It was a huge blunder by the B.C. NDP," Conacher told CBC. "These things were well known in Canada, from other jurisdictions, and the B.C. government should have done the right thing the first time instead of allowing this fiasco to happen." Meanwhile, housing activist Justin Fung is looking for an apology. He's one of the creators of a grassroots organization called Vancouverites for Affordable Housing — Wall's billboards claimed to be paid for by a group with the same name. Fung told CBC he was shocked to see the billboards, as well as a Facebook page credited to the same group. "It really disturbed me to see that there was clearly big money behind this, a full-on marketing campaign, sponsored ads," Fung said. "We tried ... to sponsor our own ads at one point, but it was just so expensive, there was no way we could keep it up."